Forget Forbes 100 or 500 list! There is a world beyond that too. It is much bigger and vibrant. It may not equal the economy of honchos but, yes, without it, 15.6 million people would become jobless and, not to mention, consumers would also miss out the native essence of shopping. Our AngularJS web developers were fortunate to explore this world with MyStreet web application development. Actually, the stats talk of the contribution of small and medium businesses to the UK economy. MyStreet is a website application based on AngularJS that aims at helping these local vendors, who often go unnoticed, to cement their position, but without allocating any big budget for marketing and sales endeavor as their big counterparts do. Interestingly, the app allows them to reach out to their target consumers sounding as professional as their rivals can be. How does a web application differ from a normal website? Perhaps, both are accessible through a web browser and both can be used for sales, marketing or any other purposes. However, it?s no-brainer to answer it. Just imagine the difference between a normal website and Facebook, any normal website and Google Docs, Gmail, etc. On the latter, the details are accessible only to the account users and also it supports specific functions and roles. And is also available with more customization options. 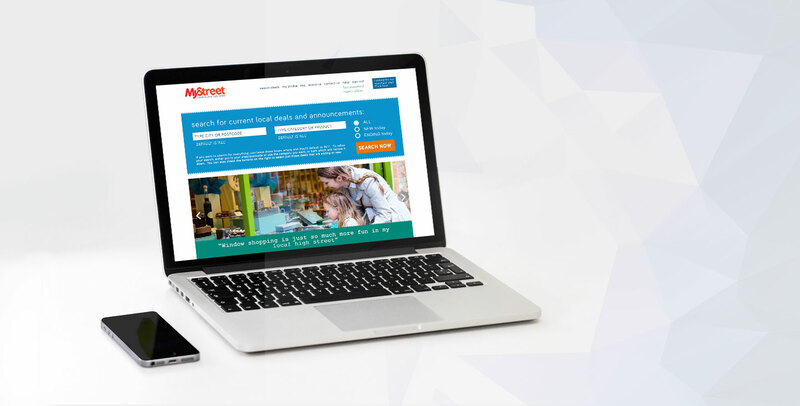 MyStreet web application development with AngularJS provided us the opportunity to know the challenges that local independent retailers in the UK face to market their products and services to their consumers. AngularJS by Google brings MVC (Model View Controller) along with the strength of HTML and CSS and supports dynamic web page development. Dynamic pages? It means a site where binding data to page as well as collecting data from the page is incredibly faster. This is an essential feature required for building online stores and we made no mistake in making these rich capabilities accessible to retailers and their consumers alike. Merchants, as well as consumers, can sign up or register with the web application and can stay connected. Vendors can upload their products and services to the web application, send notifications or alerts to consumers about new arrivals and serve them better based on their interests, preferences, and location. Consumers get a search box accompanied by a drop-down filter showing categories like amusement or recreation, automotive, bakery, computing, building materials and much more to select from. They can also choose their favorite vendors and configure the settings regarding receiving notifications to stay informed about deals. This is a GPS-enabled app that tracks the location of users and accordingly suggests them with the right products and services from the local markets and merchants. Users can easily connect with a vendor over the phone with just a click and locate their position using Google Maps. Hence, they won?t be alienated from deals that matter even when they move to a new place.